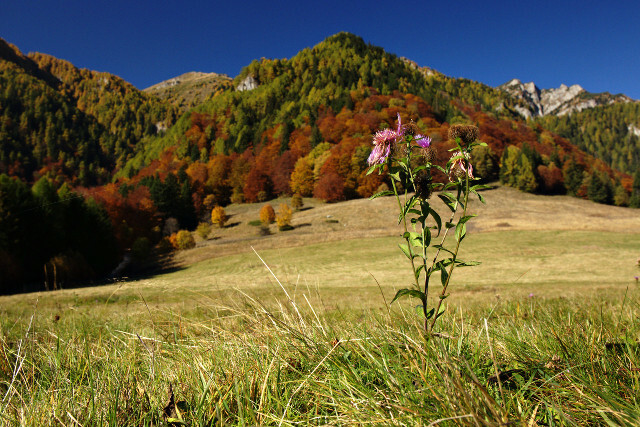 Autumn landscape with flower and mountains. 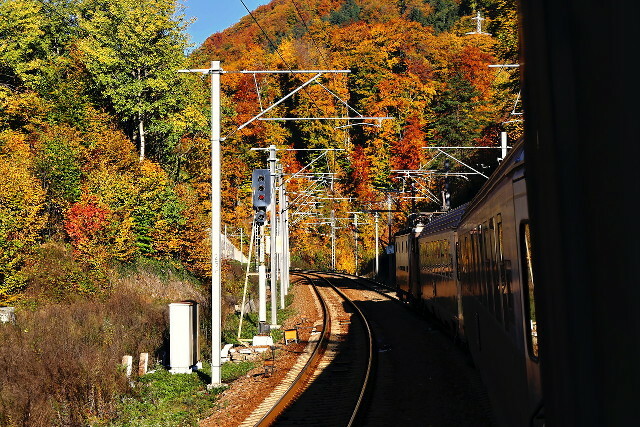 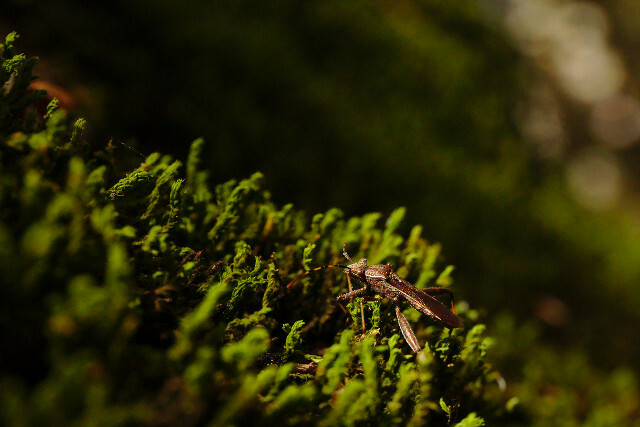 The train is running fast to the beautiful autumnal forests. 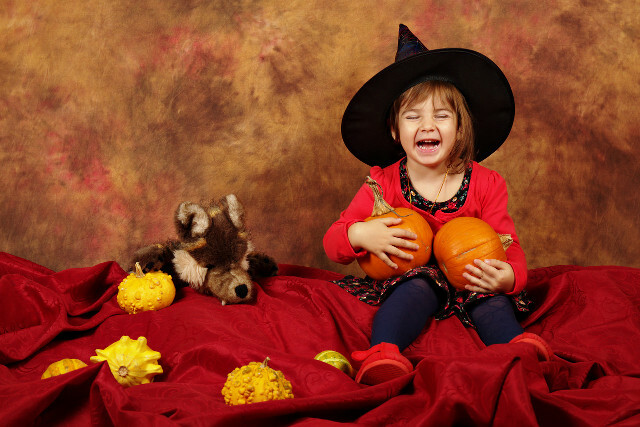 Halloween is close, so the kids have a lot of fun with pumpkins and scary stories.